Microgaming slots have always managed to win over a lot of players thanks to the theme variety of their games. Thanks to their success, many of the old Microgaming slots have been revamped in the form of a sequel to the original games. This was the case with Thunderstruck and Thunderstruck II, or Avalon and Avalon II, and Break da Bank and Break da Bank Again Slot as well. Break da Bank Again is a Microgaming 5-reel 9-payline video slot game with a bank-heist theme, and a sequel to the popular Break da Bank slot, which is a classic pokie slot machine with 3 reels and 5 pay-lines. This slot game has kept many of the original game’s imagery and symbols, but enhanced the graphics, winnings and some new symbols were added as well. The symbols that you will find in this game revolve around money and gold, and include Diamonds, Gold Bars, Cash, Pens and Checks, Gold Coins, the Vault, and the Break da Bank Again logo. Of course, you will also see the standard poker card values from 10 through Ace. One of the game’s best features (apart from the theme for those who enjoy bank heist related themes) is the wild multiplier, which can be up to 25x in the free spin rounds. The wild symbol is represented by the Break da Bank Again logo, which, like all wilds, has the role of substituting symbols to complete a winning combination. 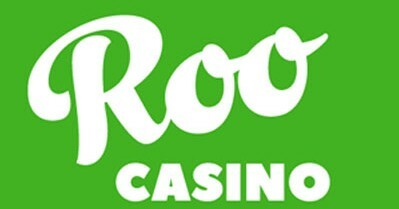 Regular play wins are multiplied 5x, but wins in the free spins, whenever the logo completes a winning combination, will be multiplied 25x. This is a proper wild multiplier, indeed! The Vault symbol acts as the scatter and can make an appearance anywhere on the reels. When 3 or more of these Vault symbols appear, a free spins feature is triggered. 3 Vaults will award players 15 free spins, 4 Vaults appearing on the reels means that you get 20 free spins, while 5 Vaults will bring you 25 free spins. As mentioned before, the Break da Bank Again wild will increase player’s winnings through some huge multipliers. Plus, any extra Vault symbol means an extra free spin. By clicking on the Gamble button, player can activate a win or lose card game. This can double or quadruple their winnings when they guess correctly if the face-down card they have been presented with is black or red. An incorrect guess will end the feature and result in the loss of the win. This video slot has a mobile version as well, so you can play this game even on the go. The fixed jackpot of 1500 coins will be awarded to players if 5 Diamonds appear on an active pay-line. The lack of a progressive jackpot is counterbalanced by the fact that up to 375,000 coins can be won during the free spins feature. Verdict: Those players who enjoyed the original Break da Bank slot will certainly enjoy this one too, those who are not familiar with neither of these games should certainly give it a few spins in the demo version to see if it’s to their taste.